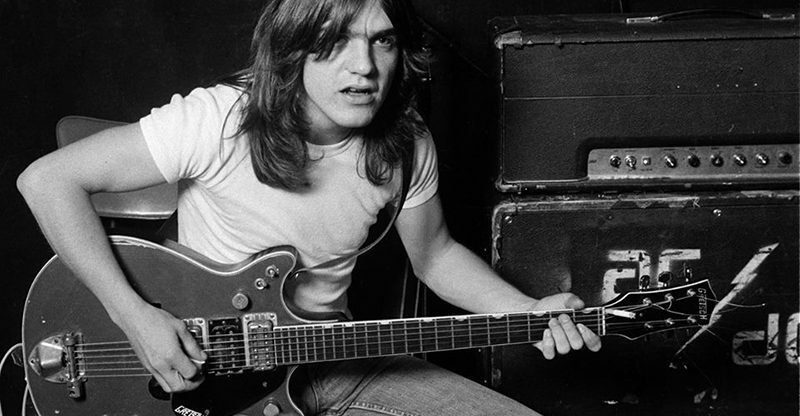 (CelebrityAccess) — Malcolm Young, rhythm guitarist, backing vocalist, songwriter and co-founder of the iconic Australia heavy metal band AC/DC, died on November 18th. He was 64. As a guitarist, songwriter and visionary he was a perfectionist and a unique man. He always stuck to his guns and did and said exactly what he wanted. He took great pride in all that he endeavored. A Glaswegian by birth, Young he emigrated from Scotland to Australia when he was ten, with his family settling in Sydney. Young founded AC/DC with his brother Angus, in 1967, with his older brother George, of EasyBeats fame, handling production for the group’s first six records. Known for the hard, driving music and raucous lyrics, AC/DC scored their first major international hit in 1976 with “Dirty Deeds Done Dirt Cheap” which peaked at #3 on the US album charts. Other hits followed, including “Back in Black” (1980), “For Those About to Rock We Salute You” (1981), and the “Razor’s Edge” in 1990. Young faced numerous health issues, including battles with addiction and he missed the lion’s share AC/DC’s Blow Up Your Video World Tour in 1988 while he addressed his alcohol addiction. In 2008, at the conclusion of the bands’ “Black Ice” tour, Young was diagnosed with lung cancer, for which he was successfully treated. In April 2014, the band released a message stating that Young would be taking a “hiatus” from the band due to ill health. However, later that year, the band’s management revealed that the hiatus was permanent and that Young was being treated for dementia. His survivors include his wife, O’Linda; two children, Cara and Ross; his brother Angus; a sister; and three grandchildren, according to a statement on the band’s website. Young’s brother George, one of the band’s producers and songwriters, died last month.